What takes a person from Bible reading to Bible engagement? How do the words on the page, or on the screen, become part of a conversation, the expression of a living relationship with a loving God? At one time or another, most of us have gone through the minimal Bible experience—the rote devotions, the perfunctory passage of the day—and we know people who do that routinely. We long for them to go deeper, to inject the Bible’s message into their lives, to go from mere interaction into reflection and challenge, lingering and delight. Some have suggested that more education about the Bible would help, and that may be true. If readers know the historical background, or the circumstances of the writing, that could provide a meaningful context. Other leaders promote theological backgrounding. Lately we’ve been hearing a lot about the story of Scripture. Perhaps it would be valuable to trace a narrative arc from Genesis to Revelation, so a reader could understand where a particular passage occurs in the mega-story. With all those approaches, the casual reader becomes less casual—which is essentially the goal, but also a problem. Sometimes people just want to read the Bible. They’re not looking for theological insight or historical background; they just want a quick connection. The following seven points are quick connections, possibly subjects for sermons, small-group Bible studies, or email reflections. You’ll see a bit of theology in them, and the faint outline of a story arc, but they’re not meant to say everything, just a few things. 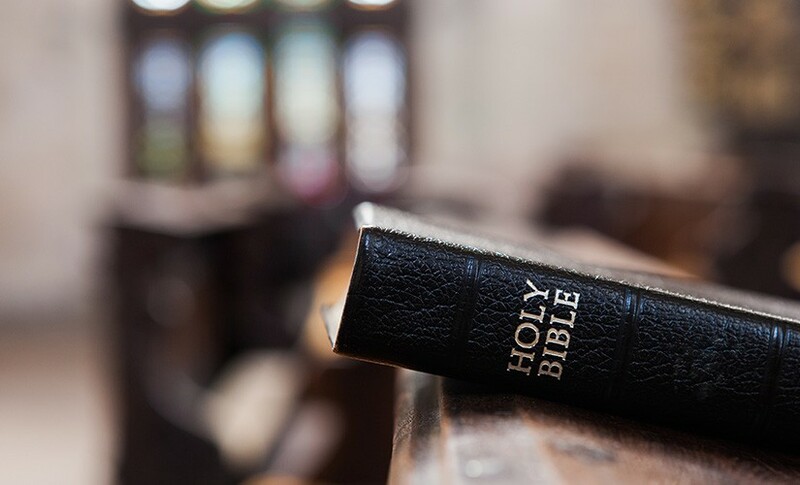 As people begin to hear God speaking these messages in the biblical text, they will increasingly be drawn from occasional interaction to ongoing Bible engagement. We first encounter God in Scripture as the Creator (Genesis 1-2), who breathes life into the first human (Genesis 2:7) and introduces himself to Moses as “I AM,” suggesting that existence itself rests with God (Exodus 3:14). “You have shown me the path to life,” a psalmist sings (Psalm 16:11). In the New Testament, of course, the focus turns to Jesus. “In him was life,” states the Fourth Gospel (John 1:4), which also presents Jesus as the bread of life and living water. “I am the resurrection and the life,” the Savior states at a graveside (John 11:25), affirming that he doesn’t just represent life—he provides it to others. “I have come in order that you might have life—life in all its fullness” (John 10:10b). Eden, we have a problem. The Bible’s third chapter tells a story of human disobedience and the resulting curse—toil and trouble in love and labor (Genesis 3:16-19). The relationship between the Bible’s first brothers becomes murderous (Genesis 4:2-8), and you might say things go downhill from there. God finds some people who trust him, and he builds a nation from them, but they are broken too. “All have turned away, all have become corrupt,” a psalmist moans. “There is no one who does good, not even one” (Psalm 14:3). An apostle writes that “all of creation groans with pain” as it awaits restoration (Romans 8:22). Moses urged his people not to be terrified by their enemies, “for the LORD your God, who is among you, is a great and awesome God” (Deuteronomy 7:21 NIV). In modern times the word awesome has acquired a new meaning—really cool, amazing. Both new and old definitions apply to the God of the Bible, who dazzles our senses to the point of awe. “The fear of the LORD is the beginning of wisdom,” the book of Proverbs states (9:10a). That’s a starting point—not a terror that drives us away, but a recognition of God’s greatness. This leads to a recurring assurance in Scripture: fear the Lord and there’s no one else to fear (Matthew 10:28). In one parable of Jesus, a servant buries some money rather than investing it. “I was afraid,” he explains before being scolded and punished (Matthew 25:24-30). As Joshua takes leadership over Israel, he is told, “Do not be afraid or discouraged, for I, the LORD your God, am with you wherever you go” (Joshua 1:9b). Leading a church, Timothy is reminded that God’s Spirit “does not make us timid” (2 Timothy 1:7). “Do not be afraid—I am with you!” the Lord says through Isaiah. “I am your God—let nothing terrify you! I will make you strong and help you; I will protect you and save you” (Isaiah 41:10). While the fear of the Lord is still the beginning of wisdom, it’s by no means the end of the story. As it unfolds, Scripture leads us toward a relationship in which our awe at God’s greatness inspires a deeper and deeper love. “There is no fear in love; perfect love drives out all fear” (1 John 4:18a). Poor Joseph—sold into slavery by jealous brothers, falsely accused, left to rot in prison. But God lifts him to power and influence. “You plotted evil against me,” he tells those brothers, “but God turned it into good” (Genesis 50:20a). We see this pattern: suffering is real; good people get treated badly; but by the power of God this is transformed into understanding, growth, or redemption. Many of the Psalms carry complaints about rampant injustice, but then change perspective halfway through (like Psalm 73). Three different apostles write about the growth that comes through suffering (Romans 5:3-5; James 1:2-4; 1 Peter 2:18-24). Jesus assures his followers that trouble will come to them, “But be brave! I have defeated the world!” (John 16:33). Generations of Christians have responded to suffering with the simple words of Romans 8:28—“We know that all things work together for good …” While some critics take that as a vague bit of positive thinking, the rest of the verse provides a context of realism—“… for those who love God, who are called according to his purpose.” Our God-given purpose defines what good is, and that can get us through the bad times. The apostle Paul, languishing in prison, writes about his purpose in life. While dying might be an ultimate gain, he says, “to live is Christ” (Philippians 1:21). Jesus calls his followers “the salt of the earth” and “the light of the world,” commanding them to love one another and directing them to share his message with others (Matthew 5:13-16; John 13:34-35; Matthew 28:18-20). It’s hard to take a book with 30,000 verses, written over hundreds of years by dozens of authors, and sum it up in a single word. But if you had to try, you might end up with love. “This is what love is,” John writes. “It is not that we have loved God, but that he loved us and sent his Son to be the means by which our sins are forgiven” (1 John 4:10). In Scripture we see a loving Creator dealing with the rebellion of the creatures, but still loving them. “I have loved you with an everlasting love,” God explains through a prophet (Jeremiah 31:3). We see the loving ministry of Jesus, with his loving sacrifice, and we are moved to love. “Christ’s love compels us,” writes one apostle (2 Corinthians 5:14). And even when we are groaning along with the rest of creation, longing for things to be set right , the Bible holds the promise that “there is nothing in all creation that will ever be able to separate us from the love of God which is ours through Christ Jesus our Lord” (Romans 8:38).